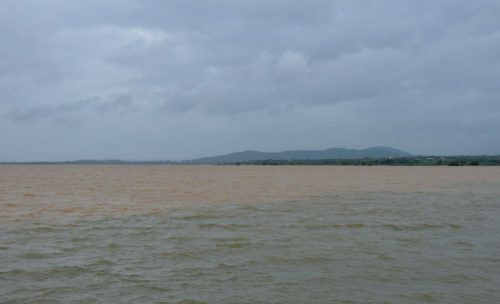 Veer dam was on the radar for quite some time, though not necessarily for a monsoon trip. The dam’s backwaters are famous for bird watching in winter, as famous as Bhigwan. 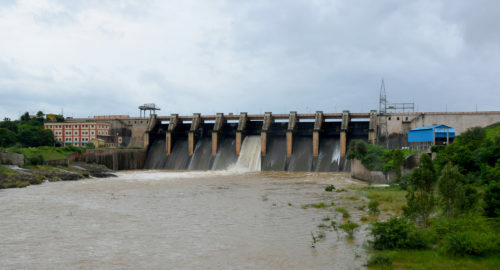 But any big dam is usually scenic and with the kind of rain we have been having this year, it should be overflowing and such a sight is worthy of a trip. 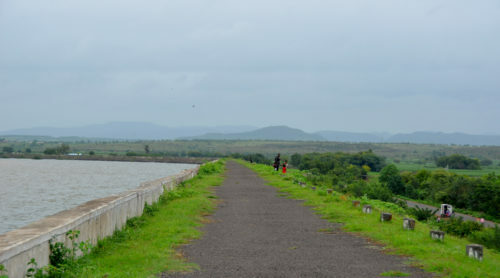 Veer dam is around 60 kms away from Pune (Magarpatta). The main purpose of this dam is hydroelectricity and water for irrigation. You can climb of the wall of the embankments and go for a long walk. The breeze was great and the kids loved the walk. We weren’t allowed to go on top of the dam as one of the gates was open and water was being released. The view from the wall is amazing with the different colours of the water (due to the depth). Just downstream of the dam is another small dam on which you can walk on (very narrow though and kids need to be restrained). The road continues onto a small scenic bridge where you can see the water up close. 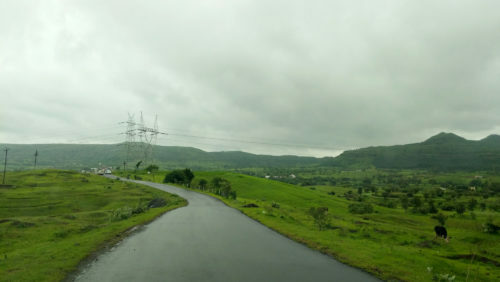 Route to Veer Dam from Pune(Magarpatta City): I am giving below three route options 1. The straight forward highway route 2. An amazing scenic route with a great food stop 3. 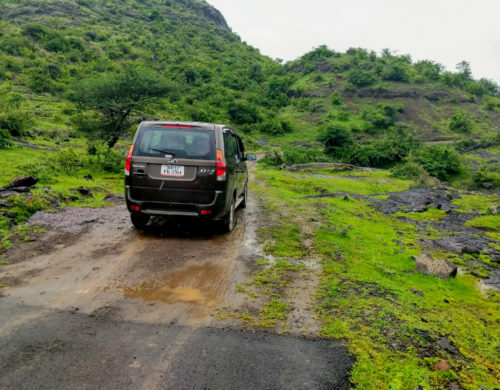 An adventurous off road route (that i didn’t full go through), good for bikes, off roaders and adventurous regular roadtrippers! Route 1: Veer Dam is easy to approach through the Bangalore highway. It should take you less than 2 hrs by this route. Going by this route, you can combine any other destination along the highway. Route 2: An amazing scenic route. This option is easy if you are around Magarpatta/Hadapsar. 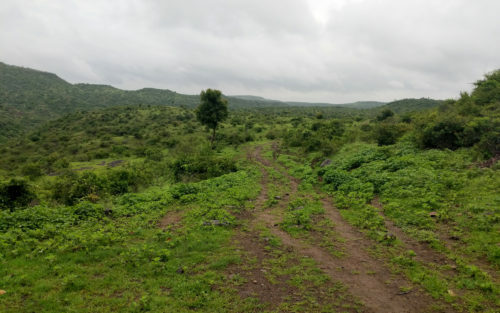 Proceed on the Saswad/Jejuri road. Two kms before Jejuri, you will come to Madhuban restaurant on the right side (Google thinks you cannot cross the road, but you can as there is no divider). I have been a regular at this place for the past 7-8 yrs, even driving all the way for a dinner. Their kitchen is an open kitchen and amazingly clean. They serve south indian, north indian and maharashtrian – we especially love their mh food. It is a veg restaurant though. The price is very very reasonable e.g. who gives a sabji e.g. varlare vangi for 55 bucks!! Depending on the time you start, you can have breakfast/lunch here (we had lunch). Then come back a bit to the Shivri turn and then proceed towards Veer. The return can be the straight road back to saswad. 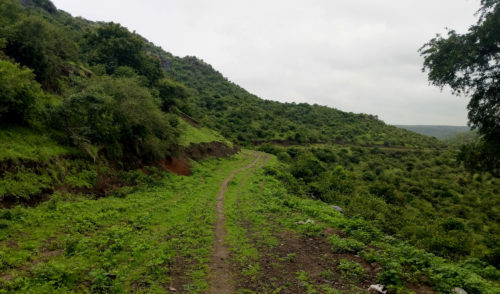 The stretch from Shivri until Parinche is runway-like, smooth hillocks without any big ghat sections and a dream to drive on. You can skate on these roads! No waterfalls though, just miles of green scenery! There was practically no civilization around here and we wanted to check with someone before moving on. I had a Xylo and didn’t mind, but my friend in his swift wanted to be sure 🙂 No one came, but after some time a lone bull was the only living being that came. It didn’t seem to be in a good mood to answer queries and we had to beat a hasty retreat into our cars. But then, where there is a bull, there should be a boy. And the boy eventually came. 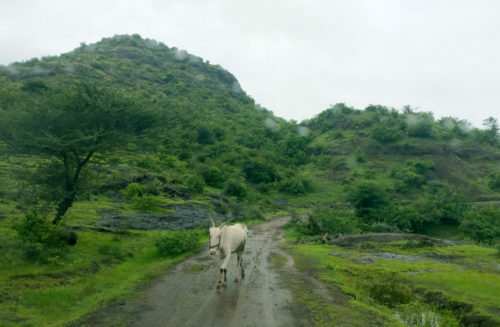 When we enquired on the route ahead, he said that there is a kuchcha road all the way ahead, but he was doubtful whether cars can go on them. He said that villagers use the road on their motorcycles. But we did want to give a try and proceeded. After a small steep climb to a pass, we came on a plateau and were rewarded with a 270 degree green paradise. In fact, the place was so quiet that when any of us spoke, it sounded like we were shouting. At this “junction”, there were two roads branching and the one showed by google was the second one below. But considering the swift, we backed out , went back to the saswad highway and took the shivri (the previous route mentioned). If any of you do go the full way on this route, do let me know. If you started early and have time left, the return trip can be made even more scenic. 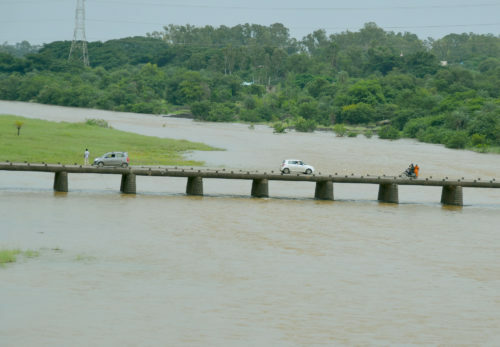 Try coming back through the Panwadi route to saswad. Check out the post on Panwadi. This will be an amazing dose of scenery for a day, covering Switzerland and rest of Europe in a day 🙂 Whichever route you take, do leave a comment below about your experience!